Everybody gets bruises at one time or another. 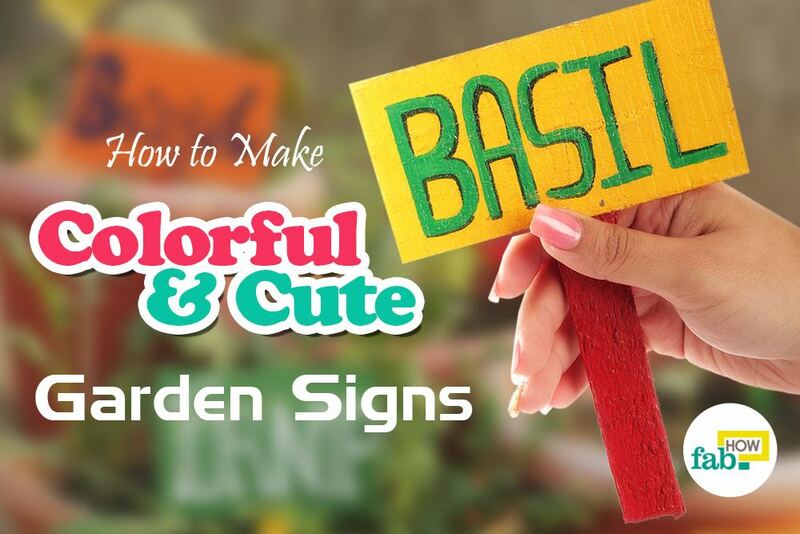 Although they are not the result of deteriorating health and usually do not call for any medical attention, the sight of a bruise is hard to ignore. 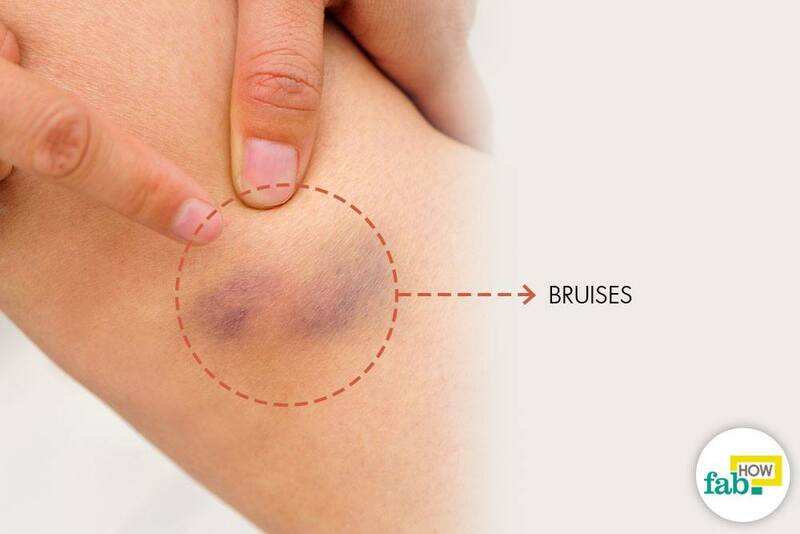 Bruises typically occur when some part of your body takes a hard hit. The injury does not break the skin, but the blood vessels underneath the skin are ruptured. These damaged vessels leak blood into the surrounding tissues, causing black-and-blue patterns on the skin that are often accompanied by pain and inflammation. 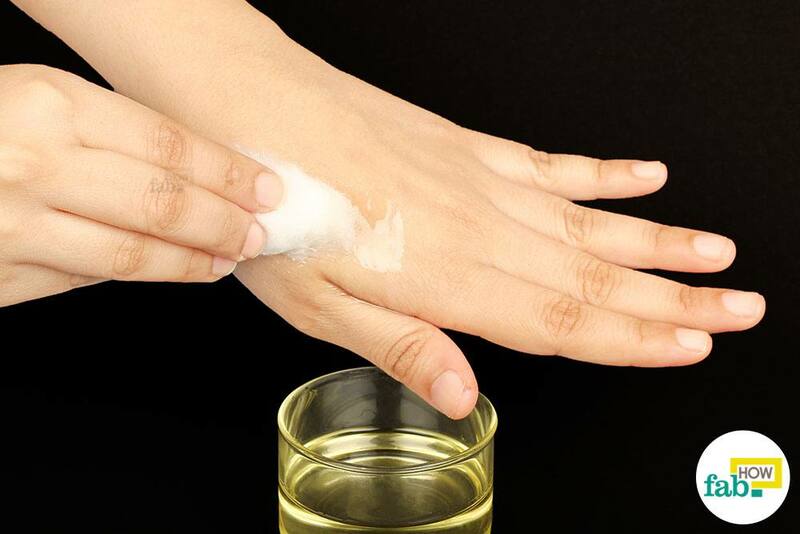 However, there are other possible causes like delicate skin tissues, lack of vitamin D or coagulation (manifestation of a platelet issue) that can lead to bruises on your skin. Medically termed as a contusion, most bruises fade away on their own in a couple of days. However, in some cases, you might want to get rid of bruises fast or maybe even overnight. Here are some home remedies to help you get rid of bruises quickly and easily. 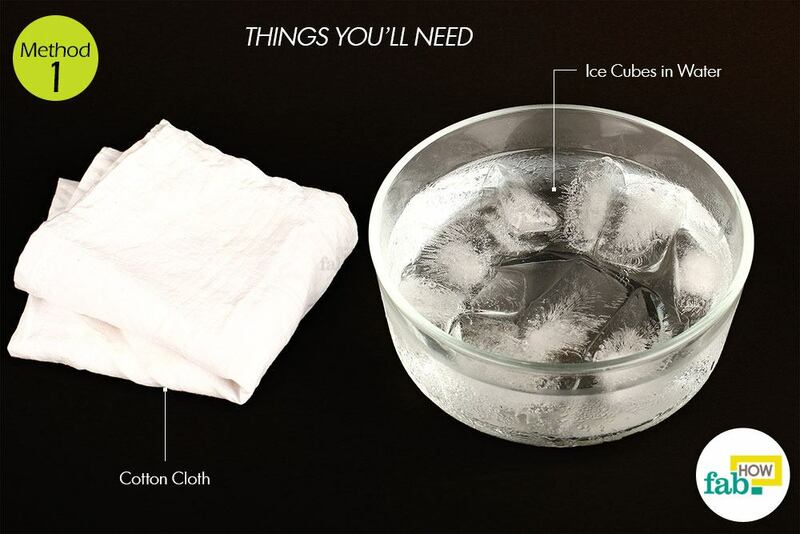 Soak a cotton cloth in ice-cold water and compress this on the bruised area. Alternatively, you can wrap some ice cubes in the cloth and use it as a compress. Hold it on the area for 10 minutes for instant relief. Cold temperature or ice packs cool down the ruptured blood vessels and control leakage of blood. (3) Make sure you do not hold the compress on your skin for longer than 20 minutes and do not apply ice directly on your skin. Rub it on the bruised area for fast relief. Castor oil not only reduces the bruise but also prevents the skin from peeling off once the bruise disappears. Put a small amount of arnica gel on your fingertips and gently rub it on the bruised area. 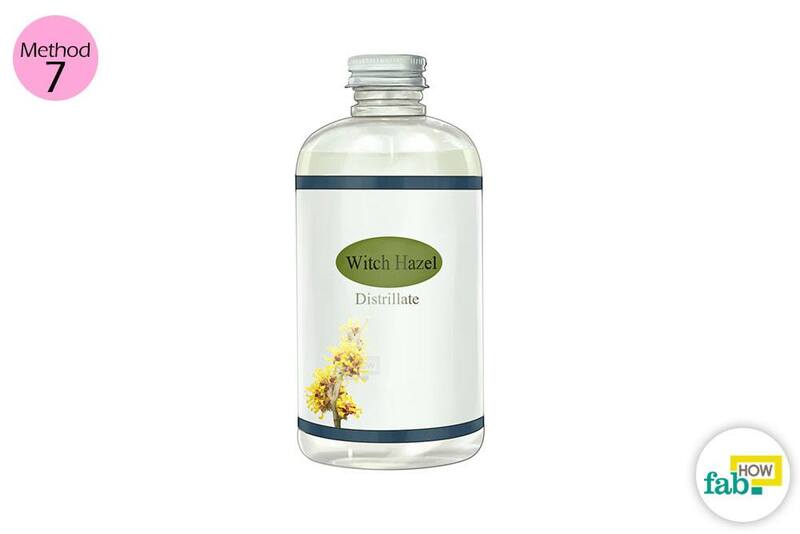 You can also blend arnica with water and apply it on the affected area. For effective results, repeat 3 or 4 times a day. White blood cells replace the damaged cells in the skin with new ones, thus healing the bruise. 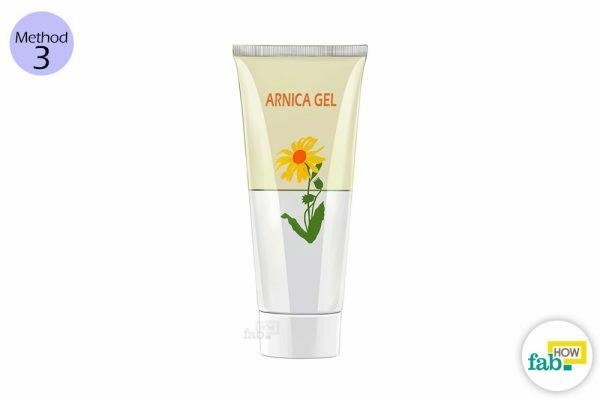 Arnica also decreases swelling and inflammation in the bruised region. 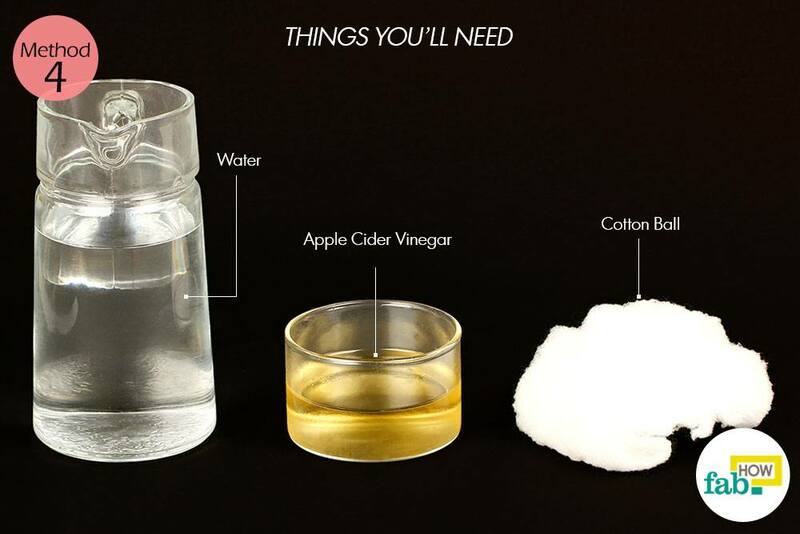 Mix 1 tablespoon of apple cider vinegar and 2 tablespoons of water in a bowl. 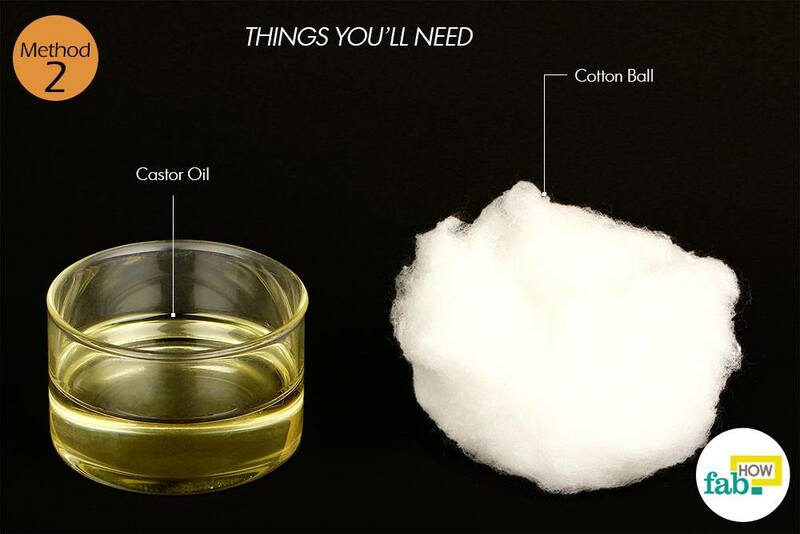 Soak a cotton ball in the solution and dab it on the bruised skin for 10 min. Repeat this for a few days until you see improvement. 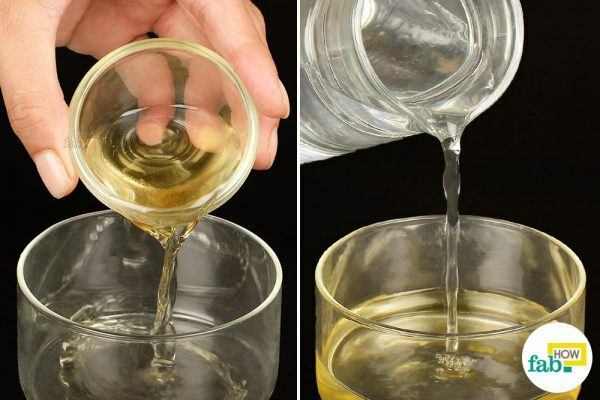 Apple cider vinegar has anti-inflammatory and exfoliating properties that help heal and remove unwanted marks on the skin. It drives away clogged blood in the affected region to treat the bruise instantly. 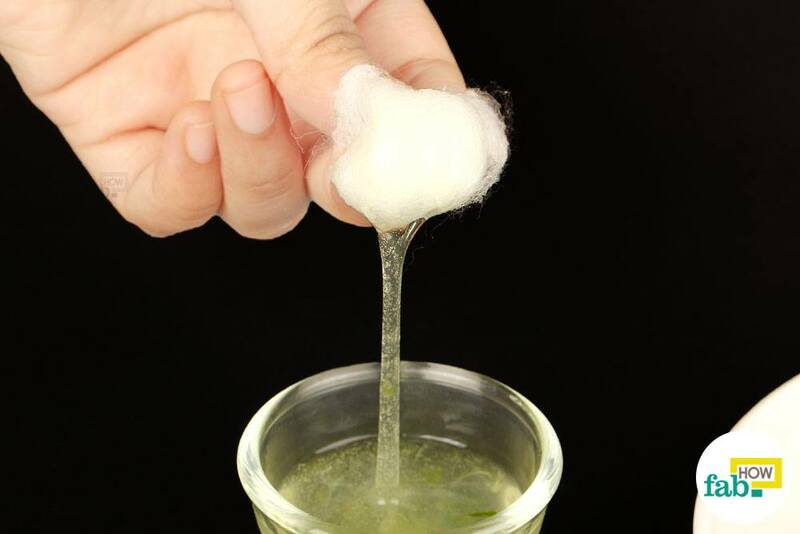 Dip a cotton ball in aloe vera gel and apply it on the bruised area. Let it sit for 10 to 15 minutes or until the gel dries completely. Repeat the treatment until you achieve positive results. 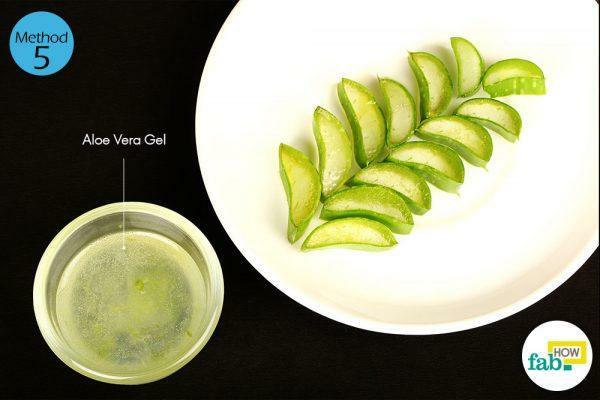 Aloe vera has antibacterial properties that reduce inflammation and accelerate the healing process of your bruise. 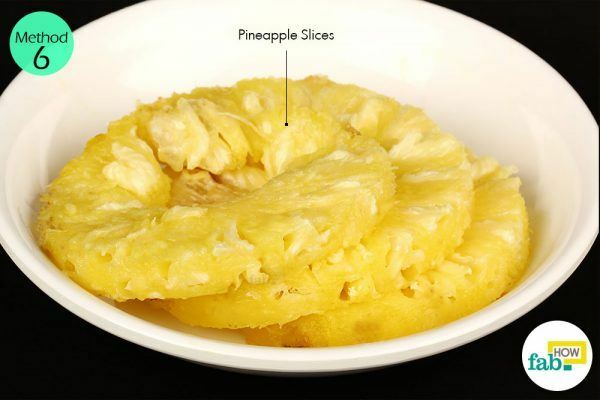 Peel and cut the pineapple into small pieces. Apply the pineapple directly on the bruised area for fast relief. Alternatively, you may also apply pineapple juice or eat pineapple. For effective results, consume at least 500 milligrams of bromelain every day. Put a small amount of witch hazel liquid in your palm. Gently rub it on the bruised area. 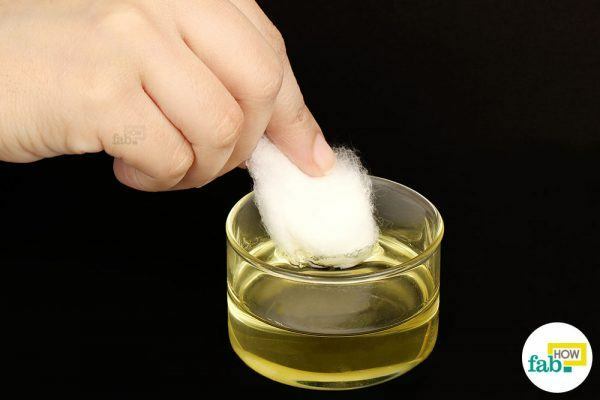 Alternatively, you can soak a cotton ball in witch hazel and dab it on the affected skin to speed up the healing process. You can use warm and cold compresses alternately to get better relief from pain or discomfort accompanying a bruise. Allow at least a 2-hour gap between the two treatments. Massaging the wound soon after a warm or cold compress treatment enhances blood flow around the injured site. However, if the pain is severe, you can skip this step. 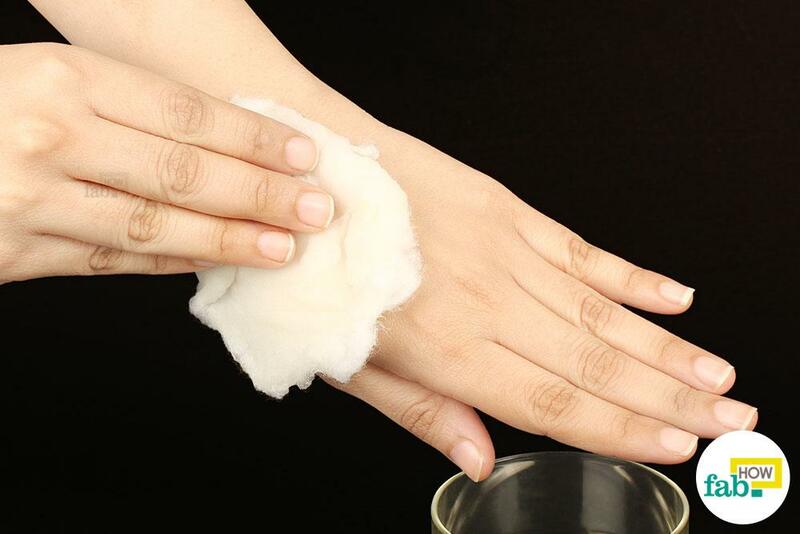 If bruises appear on your hands and legs, you must treat them from top and not under the affected region. Avoid putting a strain on the affected area. Restrict moving around too often to ensure that the bruise does not spread further. Elevate the injured area by placing it on a cushion or two. Elevation of the wounded area keeps the blood from pooling, thus reducing strain and swelling. Attah, MO, Watson T. The Effect of Aloe vera (Linn) On Cutaneous Wound Healing ... Journal of Medical and Biological Sciences. http://nova-jmbs.com/index.php/jmbs/article/view/104. Published 2016. Amaniyan S, Varaei S, Vaismoradi M, Haghani H, Sieloff C. Effect of local cold and hot pack on the bruising of enoxaparin sodium injection site: a randomized controlled trial. Contemporary Nurse. https://www.ncbi.nlm.nih.gov/pubmed/27207493. Published February 2016. King M. The Management of Bruising following Nonsurgical Cosmetic ... The Journal of Clinical and Aesthetic Dermatology. http://jcadonline.com/the-management-of-bruising-following-nonsurgical-cosmetic-treatment/. Published February 2017.
de R, de FC, do BC. Is bromelain an effective drug for the control of pain and inflammation associated with impacted third molar surgery? Systematic review and meta-analysis. International Journal of Oral Maxillofacial Surgery. https://www.ncbi.nlm.nih.gov/pubmed/30224314. Published September 2018. Habtemariam S. Hamamelitannin from Hamamelis virginiana inhibits the tumor necrosis factor-alpha (TNF)-induced endothelial cell death in vitro. Toxicon. https://www.ncbi.nlm.nih.gov/pubmed/11602283. Published January 2002. Kriplani P, Guarve K, Baghael US. Arnica montana L. - a plant of healing: a review. The Journal of Pharmacy & Pharmacology. https://www.ncbi.nlm.nih.gov/pubmed/28401567. Published August 2017.